guests include her parents, a handsome interior designer, a slovenly bookseller, a Jesuit priest, and Catherine, a mysterious woman writer. Soon after, the residents of the old Tudor mansion are thrown into confusion with the discovery of human remains buried in the garden. 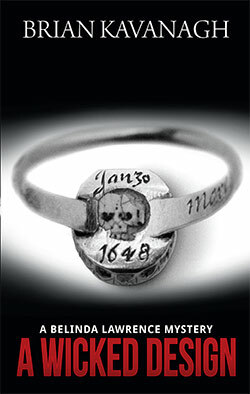 The priest tells of the Guernsey Martyrs, burned alive in 1556 for theft, and he believes a silver cup from that theft, is hidden in the house. One murder and a second mysterious death lead to revelations of past crimes that resonate to the present day and result in an exciting resolution tinged by the island’s history of Nazi occupation. Belinda Lawrence travels to Guernsey to meet up with her fiance Mark Sallinger at his mother’s house to make arrangements for her wedding. Her parents are already there. She soon finds that her future mother-in-law is planning a society wedding, and then, to cap it all, Mark is called away suddenly on business. This leaves Belinda in an impossible situation. There are several other house guests including Belinda’s parents, a housekeeper with a dark past, a woman researching the German occupation, an architect who specialises in house renovations, and a Jesuit priest. Belinda and her friend Hazel suspect not all are as they seem. An overnight storm cuts the power and with it their communication with the outside world. Wild winds lash the house, trees come down, and a murder occurs. Belinda Lawrence returns to her home town of Melbourne, to discover a murder that’s close to her heart. A murder which leads to the seat of political power, Parliament House. …all immersed in the scheming and covert encounters besieging Belinda as she solves her most challenging mystery. Book Five in the Belinda Lawrence mystery series. I think the author’s decision to base this novel in his, and Belinda Lawrence’s, home town of Melbourne is a very successful one, as is his basing one of the plot lines on a piece of Melbourne’s colourful history. It also considers the ever present Republican debate, a very real Australian political divide. A WICKED DESIGN is a well constructed cozy with a heroine who has grown in stature with every outing in this series. Belinda Lawrence and her antique dealer friend Hazel Whitby are very realistically drawn, as is Belinda’s fiance Mark Sallinger. I think each one has seen Brian’s writing become more assured. All the books are available in print and as e-books. FOUR-LETTER WORD and the recent comedy, DAGS. This is #5 in our new feature here at Fair Dinkum Crime. Victorian writer Brian Kavanagh has agreed to respond to our version of an author interview. We’ve approached the author interview a little differently, trying to offer the authors (who we thought must get asked a few standard questions fairly frequently) the opportunity to share some of their lesser known secrets. Or not, it’s entirely up to them. We provide the authors with 13 beginnings and, like the creative geniuses they are, they turn them into sentences (or paragraphs, or full blown essays should the urge arise). I often wonder…about the transition we make from childhood to old age. If, as it seems, our body cells are replacing every minute or day, then are we really the same person all our lives? I think not. Looking back I hardly recognise the person who purported to be me aged 19 doing National Service and throwing hand-grenades. Or in Swinging’ London aged 27, swingin’ like a pendulum do. Or swanning around the Cannes Film Festival in the 1980’s. These people weren’t me. Someone else it seems. Strangers now. Maybe it’s the wisdom of age that everyone goes on about, but I suspect we actually live many lives in the span we are given. Friends would describe me as…quite possibly as a pain in the arse. Vain. Opinionated. Selfish. Generous. Tiresome. Witty. Independent. You name it. That’s me. I will never…make another film again. My greatest fear is…making another film. If only because I don’t want to work with the bean counters that plague the industry or deal with the Deep and Meaningful mafia, fringe dwellers who decide who gets assistance in funding a film. My worst job was…I have to confess that at a low point in my life when I was between film production work, I foolishly took a job in an Advertising Agency, (I still feel queasy) a job that only lasted a few weeks. 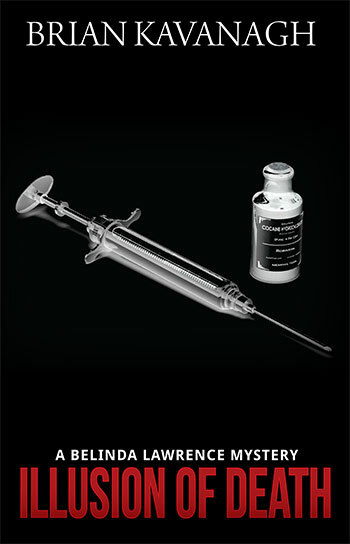 But in those few weeks I felt unclean and almost leprous. But my Guardian Angel arranged that I would see my folly and so I quit and the very next week secured a film job that changed my life and led on to a career. I’m in dire need of…very little actually. Except for someone to pay my credit card bills. My childhood was…idyllic. Well, looking back on it, it appears that way. I was blessed with good parents (long gone) who I suspect intuitively knew I was going to be a pain in the arse etc., (see all of above) and ensured that from an early age I knew how to fend for myself. I loved them dearly and still do, as I do my older brother whom I admire and am close to. That’s not always the case with siblings it seems, but I know nothing of it. We didn’t have books in the house, but from the age of about six, I know we went to the penny library at the end of the street and I would take out a book each week. I also discovered the ‘cinema’ about that time and I was hooked. I wish I hadn’t…left it so late to start writing. Of course I have always been writing film scripts, visual storytelling and I suppose, or at least hope, that has prepared me for writing books. The thing I hate most about being a writer is…the time in-between finishing a book and the publication date. No so much that I am eager to have a copy of the published book in my hands, as getting it out there and moving on to the next project. Nothing deader that a story told. The last book I read was… The Guernsey Literary and Potato Peel Pie Society. The next book I’ll write is…the fifth book in my Belinda Lawrence mystery series, following on from Capable of Murder, The Embroidered Corpse, Bloody Ham, A Canterbury Crime. Being an Australian author means…hard work, but fun with it. Many thanks to Brian for taking the time to respond to our probing with such thoughtful responses. I can certainly relate to not recognising your younger self, though I have never done National Service (for which I am grateful) nor been in Cannes at film festival time (which I would love to have done). I bet Brian’s not the only author who hates that in-between time either. I read this on my Kindle courtesy of a digital copy kindly given to me by the author. Lights! Camera! Action! . Murder! A rollicking puzzle and a turmoil of personal relationships, some happy, some doomed, some downright evil. The third adventure for Belinda and Hazel continuing the pace and humour that readers have come to acknowledge and appreciate. Excitement and tension begin on the first day of filming a Restoration drama on location at the historic Jacobean mansion, Ham House in Surrey when one of the leading players collapses and dies. With the death ruled non-accidental the director, producer and members of the cast are all suspects. An award winning Hollywood star is brought in to replace the dead actor and Belinda is employed as her stand-in. When another member of the crew is found stabbed to death, Belinda is forced to prove her innocence. In all this tumult, Belinda finds herself torn between her long-time English lover, Mark and the energetic and exuberant Australian, Brad she met again on a trip to Australia. 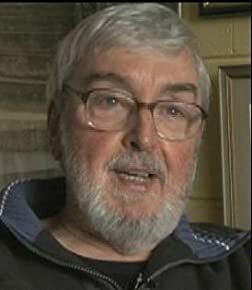 This novel gives Australian author Brian Kavanagh an opportunity to parade both his knowledge of and extensive experience in the film industry and his delight in English history. His central characters Australian Belinda Lawrence and local woman Hazel Whitby are well created and very believable. Belinda and Hazel are working in partnership: Hazel runs an antique shop in Bath, and provides Belinda with furniture in her heritage listed house and garden. Their business is commissioned to provide authentic cutlery for the feature film being made at Ham House. Hazel’s latest “young man” is a film editor about to begin work on the Ham House film. He’s an Australian who has not visited the West country before and Hazel has been showing him the sights. Belinda, on the other hand, has recently been home to Australia and has just returned, and is feeling a bit ambivalent about her lover Mark. Belinda bears a passing resemblance to one of the stars of the film and is invited to be a stand-in. The plot of BLOODY HAM is well developed: there are a number of connected deaths before it comes to its conclusion, and a cast of interesting characters. Like earlier novels in the series this novel is really a “cosy”. I liked the way Kavanagh added a few Australian characters to this novel, and the way he played with their language and characteristics. Reactions to Reading: Bloody Ham offers an entertaining combination of an old-fashioned whodunit with characters who are fun to meet. BeWrite Books will be publishing A CANTERBURY CRIME, the exciting fourth book in the popular Belinda Lawrence mystery series. 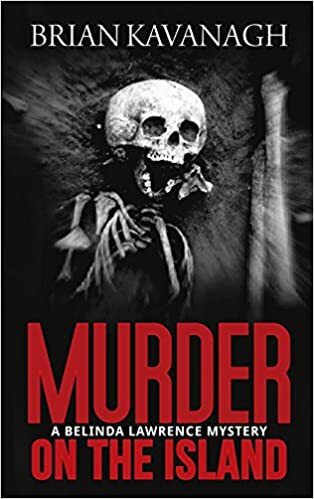 Following on from CAPABLE OF MURDER, THE EMBROIDERED CORPSE, BLOODY HAM, Belinda & Hazel travel to Canterbury in Kent and investigate the death of a Professor who was about to publish a book concerning the murder of St Thomas Becket in Canterbury Cathedral in 1170. Paperback & eBook versions. Publication date to be announced soon. Young Australian living in London, Belinda Lawrence, is contacted by her great aunt who lives near Bath. The old lady has something important that she wants to tell her. Belinda finds her aunt’s decaying body at the foot of the stairs in her cottage but appearances seem to indicate that she has had an accidental fall. Various events and coincidences convince Belinda that her aunt was in fact murdered. Belinda decides to live in the cottage she has inherited from her aunt, more people die, and she is not sure who to trust. The book takes a lot from the tradition of English village “cosies” and reminded me a little of books I used to read decades ago – Victoria Holt, Susan Howatch and similar “gothic” style novelists. For me it was just a little old-fashioned, but it was a quick read, and plot content was interesting enough. #2 in the Belinda Lawrence series. Set about 2 years after the first (CAPABLE OF MURDER), Belinda now has her inherited cottage set up with its re-constructed Capability Brown garden. Antique collector Hazel Whitby has furnished it with appropriate furniture and it is now on the tourist bus routes, bringing in a small income. Real estate agent Mark Sallinger completes the investigative trio as wll as providing the romance interest. On their way back from an antiques fair at Castle Howard, Belinda and Hazel call in at Kidbrooke House and are shown a framed piece of tapestry by its elderly owner. It reminds Belinda of the Bayeux tapestry and she decides she wants to see the Bayeux replica at Reading. Just after their visit to Kidbrooke House its elderly owner is murdered. Hazel buys some furniture from his deceased estate and accidentally becomes the owner of the tapestry which she gives to Belinda. This book is a delightful romp somewhat in the vein of Margaret Rutherford’s interpretation of Miss Marple. I suspect Brian Kavanagh is rather enjoying writing these stories with their mixture of murder, mayhem and romance. 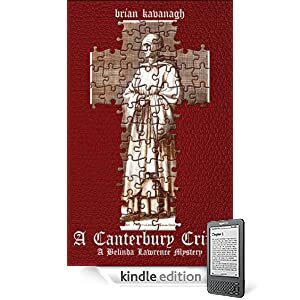 This novel begins with a brief background to the history of Canterbury and in particular to the murder of its Archbishop in the Cathedral just after Christmas in 1170. Antiques dealer Hazel Whitby and her Australian companion Belinda Lawrence have been asked to catalogue and value the contents of a deceased estate, the Manor House. It is just a few days to Christmas and Hazel and Belinda will be spending Christmas in Canterbury. Professor de Gray died nearly six months earlier, supposedly from a heart attack. But Hazel and Belinda hear stories of there having been “blood on his head” and the Professor’s body was cremated with almost indecent haste, the day after his death. They have been commissioned by Miss Mowbray (who reminds Belinda of a modern Mrs Danvers) to evaluate the contents of the Manor House, which turns out to be a virtual Aladdin’s Cave. Shortly after they begin work, Miss Mowbray goes up to London, and there meets with an accident. As with the other 3 titles in this series, I enjoyed the historical background that Kavanagh uses to give depth to the story. Belinda’s romance with the handsome Mark (who appeared in #2) and her partnership with Hazel provide continuity from one novel to the next. (If oyu are new to the series, I strongly suggest you read them in order). Like its predecessors A CANTERBURY CRIME is a pleasant whodunnit in the true cozy tradition. A CANTERBURY CRIME is a light enjoyable read, with a murder investigation by a couple of likeable amateur sleuths. My reviews of earlier titles.